4G LTE (Long Term Evolution) networks have been available in the UK since 2012, offering a significant improvement over the 3G networks that were struggling to satisfy growing appetites for mobile data. But what is 4G? How do the networks stand-up against each other? And what developments are taking place? What are the differences between 4G frequency bands? Multiple frequency bands power 4G in the UK, each offering different characteristics. The 2.6GHz band is one of the two frequencies that were auctioned off by Ofcom in February 2013. It has a greater data capacity than the other two bands so it can deal with loads of people connecting at once, but it doesn't fare so well over long distances, making it ideal for cities and other compact, densely populated areas but not so good for rural locations. The 800MHz band is the other spectrum that was sold at the same time. It was used to provide analogue terrestrial TV, but has been freed up since the big Digital switchover. While it doesn't provide the same data capacity as the 2.6GHz band, the 800MHz frequency can easily travel over long distances and will be used to provide broadband speeds to rural areas where telephone exchanges can't reach. Being low frequency it's also better at penetrating walls than the 2.6GHz or 1800MHz bands, so it will provide an improved signal when indoors. The 1800MHz band is used by EE and Three and strikes a balance between coverage and capacity (falling between the extremes of the 2.6GHz and 800MHz bands) which makes it a good 'middle-ground' for getting 4G around the country. The most recent developments have seen 2100MHz spectrum EE uses for 3G refarmed for 4G ahead of a future 5G launch, and O2 win 2.3GHz airwaves at an auction earlier this year. The 4G spectrum auction held by Ofcom at the beginning of the 2013 saw winning bids from O2 (Telefónica UK), Vodafone, Three (Hutchison Whampoa) and of course EE. BT also came away with some spectrum of its own, before it acquired EE in 2016. Remember, more MHz means a better connection, so the more 'x GHz' of spectrum, the more widespread and robust a network can be. Vodafone spent the most at the auction- a whopping £790,761,000 and came away with 2 x 10MHz of 800MHz spectrum, 1 x 20MHz of 2.6GHz spectrum and a further 1 x 25MHz of 2.6GHz spectrum. EE spent £588,876,000 and secured 2 x 5MHz of 800MHz spectrum and 2 x 35MHz of 2.6GHz spectrum, which is less spectrum overall than Vodafone has. Don't forget that EE can also call upon the 1800MHz spectrum that it's been using since before the other networks even launched a 4G service though. O2 spent £550,000,000 on 2 x 10MHz of 800MHz spectrum. The company completely neglected the 2.6GHz band which may hurt its inner city performance, but with its extensive network of Wi-Fi hotspots in cities the bubbly brand thinks it will be OK without it. Three spent £225,000,000 on 2 x 5MHz of 800MHz spectrum. Like O2, the company passed on the 2.6GHz band, however Three also has access to some 1800MHz spectrum, as noted above. BT was something of a surprise bidder and secured 2 x 15MHz of 2.6GHz and 1 x 20MHz of 2.6GHz spectrum. While it was unclear what BT planned to use it on at the time, it appeared as though it was intended to be used with an 'inside-out' MVNO before it opted to purchase EE. It’s hard to imagine now, but the arrival of 4G was delayed by legal arguments about the format of the Ofcom spectrum auction detailed above. However, EE, formed by the merger of T-Mobile and Orange in 2010, wanted to launch 4G using its significant combined spectrum assets and was granted permission by the regulator to launch LTE on 1800MHz on 30 October 2012. For almost a year EE was the only provider of 4G services in the UK and in 2018 it is the UK's largest LTE operator in terms of coverage and capacity. Its network covers 90 per cent of the country's landmass and there are plans to cover 95 per cent by the end of the decade. Tariffs were initially launched at a premium but although they are now generally more competitive amid stronger competition in the market. It divides its price plans into 'EE Essential' and 'EE Max', the latter of which offers EE's fastest available speeds. EE's network is frequently named as the UK's fastest, with the operator offering speeds in excess of 450Mbps in certain parts of the country to those with a compatible smartphone. Recent figures from OpenSignal suggest that EE offers an average of 29Mbps on 4G and 25.9Mbps across 3G and 4G. In terms of extras, EE may no longer offer two for one cinema tickets every Wednesday, but it will give you access to BT Sport and Apple Music. O2 launched its 4G network on August 29 of 2013 and it now reaches 99 per cent of the UK population. This means it has gone beyond the obligation attached to its 800MHz licence, which required it to deliver a signal to 98 per cent. However there have been concerns that its lack of 2.6GHz spectrum would limit capacity and O2 has regularly finished at the bottom of several independent tests. According to OpenSignal, average speeds are 14.6Mbps - the slowest of any UK network. It has worked hard to improve service by investing £2 million on its network every day and it has eased capacity concerns by winning 2.3GHz spectrum at the Ofcom auction earlier this year. It is also testing out 5G and is densifying its network in London through a small cell partnership with Arqiva. It has embarked on a customer-centric strategy that has seen it voted best network for coverage by uSwitch users, while subscribers still have access to exclusive deals, competitions and vouchers as well as the ability to purchase gig tickets early through O2 Priority. Vodafone also launched its 4G network on August 29 2013 (the two have a infrastructure sharing agreement known as 'Project Beacon') with its service initially available only in London before expanding to to other major UK cities. With sizeable chunks of both the 800MHz and the 2.6GHz band, Vodafone should have the capacity to deliver a fast, reliable 4G connection to customers in both urban and rural locations. Coverage has since increased to 99 per cent of the UK population, while OpenSignal says its average 4G speed is now 21.92Mbps. In terms of extras, Vodafone offers customers a choice of Spotify Premium, Netflix or Sky Sports Mobile TV to sweeten the deal. Three was the last UK operator to roll out 4G in December 2013. It had long argued that 4G was simply a technological upgrade and that it preferred to focus on customer experience rather than generational shifts. This was reflected in its pricing policy: 4G was made available to any Three customer with a compatible handset at no extra cost. This differed significantly from its rivals, all of whom offered a premium for LTE. The combination of Three’s generous data allowances and competitive prices have made it a popular choice for mobile users, but there’s no escaping the fact that Three’s 4G has its downfalls. Over the past few months, OpenSignal saw Three’s average 4G speed fall by 3Mbps to 18.8Mbps but its 3G speeds continue to impress, rising by 1Mbps to 7.8Mbps. Three has a keen interest in 5G as it believes its spectrum holdings mean there is the opportunity to lead the UK market for the first time. 4G coverage: Can all of the UK get it? Initial rollout of 4G focused on urban areas with large populations, but significant investments by all four operators in their network infrastructure means that 99 per cent of the UK population can now receive 4G. There has also been investment in 3G networks, with EE and Three among those to roll out DC-HSPA. Attention has now turned to geographic coverage, with EE promising to deliver 4G to 95 per cent of the UK's landmass. Any further expansion of coverage may depend on spectrum licence obligations or public subsidy. Ofcom’s most recent figures suggest 64 per cent of the UK’s geographic area is completely covered by all four operators, while 11 per cent is uncovered by any operator at all. What are 4G download speeds in the UK? The answer to this question depends on where you live in the country and what network you're on. EE promises speeds of up to 60Mbps on its 'Essential' plans and up to 150Mbps on its 'Max' tariffs although in some extremely limited areas, 429Mbps is on offer. OpenSignal claims the average speed is 29Mbps. The same report suggests Vodafone has 21.92Mbps, Three 18.8Mbps and O2 14.6Mbps. But again, these speeds will vary wildly depending on location. Speed increases have been static over the past few months although this can be partly attributed to the fact that operators have been working on availability by expanding coverage and densifying infrastructure in urban areas. Why is 4G so fast? 4G's impressive speed increase is achieved with the use of OFDM (Orthogonal Frequency Divison Multiplexing), a transmission technology used by the likes of ADSL, Wi-Fi, DVB-T, DVB-H and DAB. Not only does it reduce latency (the amount of time taken to buffer and connect to webpages), but it also minimises interference and is able to cram greater amounts of data into the same slice of radio bandwidth. Simply put, this enables 4G/LTE phones and tablets to stream video and play online games like never before, largely because 4G has been designed primarily as a data network, rather than a voice one and it uses the same TCP/IP protocols that underpin the internet. The upshot for you is that the data is 'flatter', as in it's easier for the networks to stream, so should theoretically be cheaper. Speeds have been advanced through technologies like MIMO (Multiple Input Multiple Output) technology, which uses multiple antennas on transmitters and receivers like 802.11n Wi-Fi equipment, and Carrier Aggregation, which binds multiple spectrum bands together. Although 5G is on the horizon, operators around the world are still investing significant amounts in their 4G infrastructure. Not only will it take time for 5G to become mainstream, but many of the early services will use new radio technologies on top of the 4G core network. As mentioned above, Massive MIMO and Carrier Aggregation are the primary methods of improving speeds and the theoretical maximum of LTE-Advanced (Or 4G+ as some people like to call it) is close to that of 5G. Some countries, most notably Japan, South Korea and the US, have enjoyed LTE-A for some time but several operators in the UK have been boosting their networks over the past few years, and we won’t be that far behind the curve with 5G. 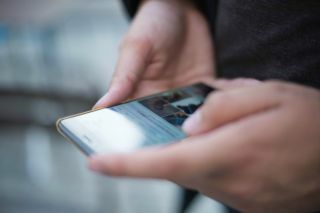 5G networks are expected to go live in the UK in 2019 – with EE possibly first to market again – offering faster speeds, greater capacity and lower latency.